Since its founding in 2007, the LeBron James Skills Academy has been hosted at the Univeristy of Akron. Tuesday, as Nike presented its 2012 calendar of non-scholastic basketball events, it was announced that the academy will be held in Las Vegas this year. 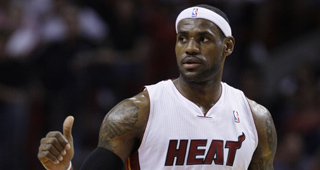 The change of venue was made so that LeBron could participate while also training with United States Olympic team.